Scott Fisher : John Graham & Associates, Inc.
Scott Fisher is dedicated to helping individuals, families, and businesses better understand their financial situations and create a path for them to reach their life and financial goals. 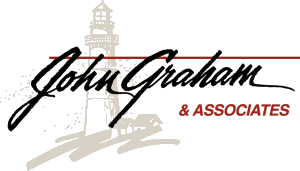 At John Graham & Associates, he provides customized financial solutions that are unique to each client’s situation. 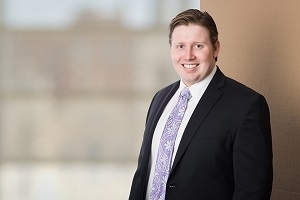 Scott is a graduate of the University of Illinois at Urbana-Champaign with a Bachelor’s Degree of Science in Agriculture and Consumer Economics with a concentration in Financial Planning and a minor in Business. In 2017, he completed the Financial Advisor Strategic Training Program at Midwestern Securities Trading Company. There he earned his FINRA Series 7 and 66 licenses, as well as state life and health insurance licenses. Originally from Homer Glen, Scott now resides in Peoria Heights. He is an active member of the Peoria Rotary Club as well as an Ambassador for the East Peoria Chamber of Commerce. In addition, he volunteers his time as a Membership Ambassador with the Peoria Riverfront Museum. In his free time, he enjoys both watching and playing hockey.